Welcoming efforts to unite opposition parties against the BJP, the DMK Friday pledged its support to the initiative of Congress chief Rahul Gandhi and Andhra Pradesh Chief Minister Chandrababu Naidu to defeat the saffron party in the 2019 Lok Sabha polls. "Corrupt, autocratic and divisive forces are destroying the democratic fabric of our country. It is the need of the hour for all non-BJP parties to come together on a common platform," DMK president M K Stalin tweeted. "I congratulate @rahulgandhi and @ncbn for initiating steps towards this. They have my support," he said. In a series of tweets, he said "Rahul Gandhi's opinion that all opposition parties should work together to defeat the BJP is significant." Corrupt, autocratic and divisive forces are destroying the democratic fabric of our country. It is the need of the hour for all non-BJP parties to come together on a common platform. I congratulate @rahulgandhi and @ncbn for initiating steps towards this. They have my support. In Tamil Nadu, Congress is a key ally of the DMK besides other opposition parties like the IUML. 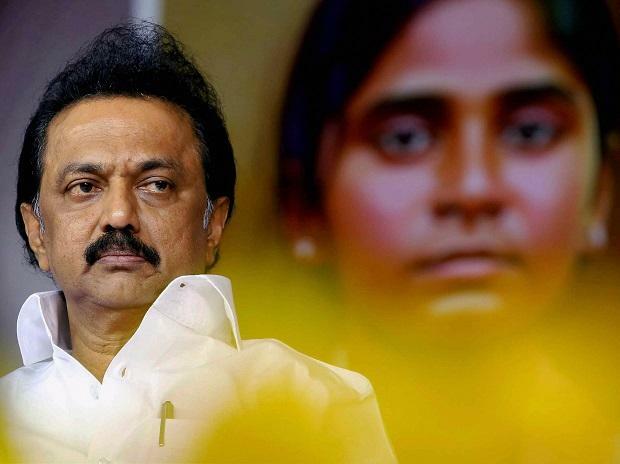 Stalin, who is the leader of opposition in the Tamil Nadu assembly, said he seconded Naidu's "save nation," slogan. He alleged that the BJP led government at the Centre "snatched away state autonomy." On issues like NEET, the DMK had opposed the Modi government, saying the centralised test was against social justice and took away the powers vested with the states. The main opposition party had also opposed Governor Banwarilal Purohit's tour of districts on similar grounds. While DMK has been steadfast in opposing the BJP and the Centre, the ruling AIADMK has been maintaining cordial ties with the saffron party, saying such an approach was needed to get funding and projects for the state. Stalin had also months ago endorsed West Bengal Chief Minister Mamata Banerjee's efforts to bring various parties together to oppose and defeat the BJP. Rahul Gandhi had said Thursday that the primary challenge before all the opposition forces was to work together and defend India's institutions and democracy. Naidu had asserted that the need of the day was to save the nation and democracy. "That's why I discussed with Rahulji also. In-principally we have agreed," he had said. "Some of you have doubt about our past. It is a democratic compulsion now, we are joining together to protect this country," Naidu had said.